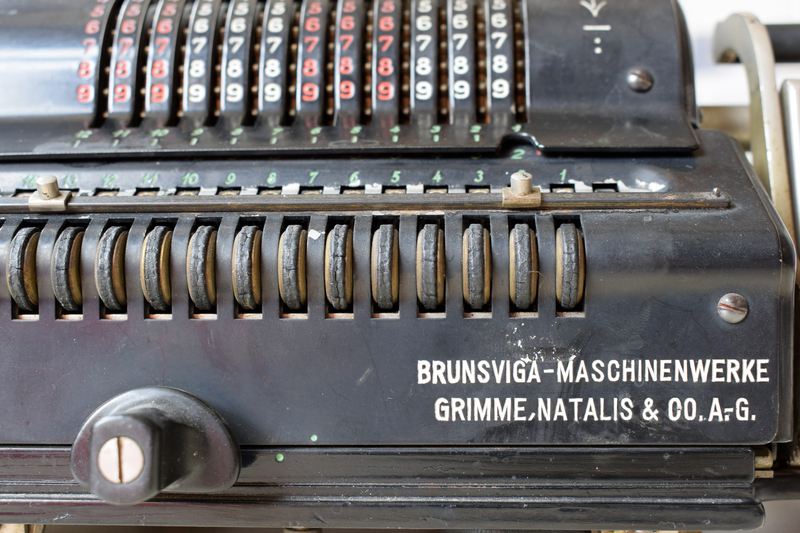 These are calculating machines of the 'pin wheel and cam disk' type and were used by mathe­maticians and scientists in the last century to develop computational methods. The two models at the Institute date from the 1930s and the 1950s. The more recent model was donated by Sir John Kingman on his retirement as Director of the Institute in September 2006. 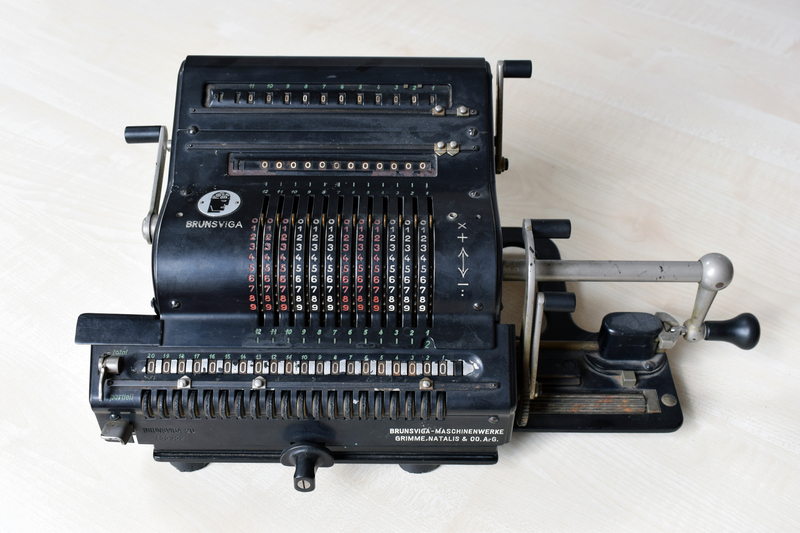 The machine came from the Statistics Department of University College London, which was distinctive for the stress it laid on its students and staff acquiring great facility in using such machines for large and tedious numerical calculations, and was able to produce tables of the Incomplete Beta Function amongst other things.